The Shonan coast in Kanagawa Prefecture. The vibe of that area reminds me a bit of beaches back in California, and I love all of the beach houses that open up around there during the summer. What do you do at Custom Media? I wear a few different hats at the company. I edit The Canadian, the magazine of the Canadian Chamber of Commerce in Japan, and I write articles for The ACCJ Journal and BCCJ ACUMEN. I’m also responsible for writing and editing content for all of Custom Media’s other projects, from social media campaigns to restaurant menus. There’s always something new going on, so no day is ever the same! I spent the first eight years of my life in Cotati, a small town in Northern California, and then I moved down to Los Angeles. I went to college in St. Paul, Minnesota, and then I moved to Boston, where I worked at a publishing company and later went to graduate school for English literature. I eventually moved back to Los Angeles, where I taught at universities, wrote for a business journal, and worked in digital marketing. I came to Japan in 2011, and I worked as an editor for a lifestyle magazine for four and a half years before joining Custom Media in April 2018. What made you want to become an editor? I’ve been writing since I was a kid, and that love of language has never left me. Almost every job that I’ve had as an adult has been connected to the written word. I’d just have to say that it’s a natural fit. You said that you wear a few different hats at Custom Media. How do you approach the different tasks that you do, starting with editing The Canadian? I see editing a magazine as serving a community of readers. In the case of The Canadian, our readers are looking to know more about the many business and cultural ties between Canada and Japan, and I think we do a good job of coming up with interesting and insightful articles with each issue. From a technical point of view, I’m always paying attention to detail and maintaining a sensitivity to the nuance of language—I want to make sure that each sentence is as clear as possible! For the stories I write for our magazines, I’m always looking to deliver a new perspective on whatever topic that I’m writing about. So, whether it’s doing research or interviewing experts on a given subject, I want to bring something extra, and dig into the issue. Finally, when I’m working on client projects, I think that flexibility, adaptability, and imagination are the most important skills to bring to the work. You have to keep in mind that you’re there to help the client achieve their goals, and you always need to be creative in order to help the client achieve those goals. What do you like most about working at Custom Media? The diversity of the company. I grew up in a multicultural environment, and there are times when I find myself missing that in Japan. But not at Custom Media! We’ve got people from all around the world here, and I find that getting to work alongside people from so many different backgrounds to be invigorating. I also think that our diversity gives us the capacity to approach creative projects from unique angles. 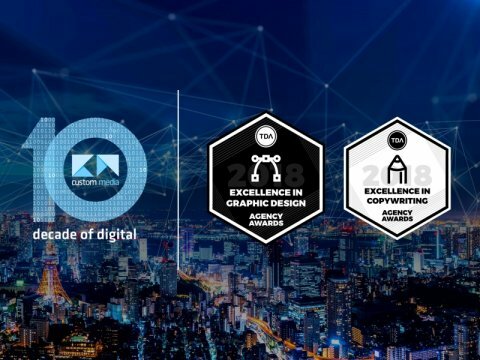 Custom Media is delighted to announce that it has been honored by Top Digital Agency (TDA) with two major awards for Excellence in Copywriting and Graphic Design in 2018. Japan Sports Journey has a number of easy-to-use features to help fans and travelers in Tokyo and around Japan. 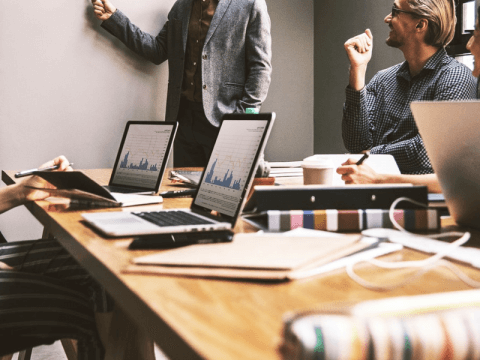 Paying attention to digital marketing in 2019? These are the developments that you'll want to watch. Interested in working together with us? © 2019 CUSTOM MEDIA K.K.